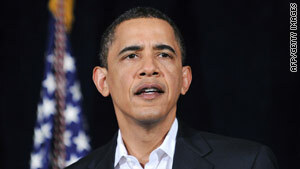 President Obama has expressed support for a potential expansion of off-shore drilling. Washington (CNN) -- President Barack Obama will meet Tuesday at the White House with former Sen. Bob Graham of Florida and former Environmental Protection Agency administrator William Reilly, the co-chairs of a new presidential commission investigating how to prevent another oil spill like the devastating leak in the Gulf of Mexico. White House aides said Obama will make public comments after he meets with Graham and Reilly, new co-chairs of the National Commission on the BP Deepwater Horizon Oil Spill and Offshore Drilling, which Obama created earlier this month by executive order. Administration officials have said that five other people will soon be selected to serve on the seven-person commission. The other panel members are likely to come from outside government because of allegations that government officials at the federal, state, and local level have been too cozy with people in the oil industry they are supposed to oversee. The commission has six months to issue a report to Obama with recommendations on how to prevent future spills resulting from offshore drilling. Before the recent spill, Obama had expressed support for a potential expansion of off-shore drilling as part of a comprehensive energy reform plan. Now, he is facing criticism from fellow Democrats in coastal states such as Florida who want him to scrap plans for more drilling. Graham hails from Florida, which is believed to be threatened by the current spill. He served two terms as governor followed by 18 years in the U.S. Senate. Since retiring from the Senate in January 2005, Graham has served on several federal panels, including chairman of the Commission on the Prevention of Weapons of Mass Destruction Proliferation and Terrorism. Reilly served as EPA chief in the administration of President George H.W. Bush from 1989-1993 and is Chairman Emeritus of the Board of the World Wildlife Fund. His impeccable credentials in the environmental community could be important amid fears within conservation circles that the Gulf spill will cause unprecedented damage to wildlife and fisheries. Administration officials have previously said the oil spill commission will be modeled on federal panels created following the Three Mile Island nuclear plant crisis in 1979 and the Challenger space shuttle tragedy in 1986.